Instant messaging is one of the best things that happened in this century. Gone are the days when we used to send an SMS and eagerly wonder if the other person read it or not. 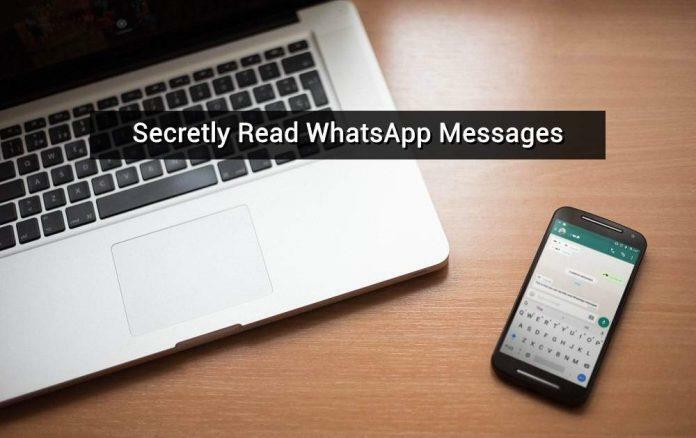 All the instant messaging apps like WhatsApp have included features to let the sender know if the messages are read or not. So, when you send a message, you’ll know if your messages are read or ignored. This is quite useful, but it can also become a horror show with some people. Especially if you have an obnoxious bae or an idiot friend who won’t let you live in peace. To avoid such catastrophes, you’ll need to secretly read WhatsApp messages without the sender knowing. When you get a WhatsApp message, don’t open the app to read it. Instead, turn ON the “Airplane Mode” on your device to cut off from the Internet. Once you’ve activated the airplane mode, you can open WhatsApp to read the messages. As you are not connected to the Internet, the sender won’t know that you’ve read the messages. You might worry that the sender will know that you’ve read the message when you’re back online. Well, don’t worry. To keep this our little secret, you need to close the app while airplane mode is still ON. Don’t just hit the home button, close WhatsApp by swiping from the recents menu. This way the sender won’t know that you’ve read the messages until you’ve read them again when you’re online. Well, it might seem a bit too fundamental but this is what I usually do when there are less unread messages in WhatsApp. Simply, swipe down from the top of your screen to bring up the notification panel. Now, you can read the WhatsApp messages from the preview. This method is less used as you can’t always read messages as they’re clustered together or only a part of the message is shown in the notification. This is my favorite option to secretly read WhatsApp messages. You don’t need to disable the Internet or disable the blue ticks to use this method. You can just place the WhatsApp widget on the home screen to read all the unread messages on WhatsApp. This won’t alert the sender as you’re just reading the preview and not the actual messages. Long-press on the home screen and click “widgets” to bring up the list of widgets on your device. Now, press and drag the WhatsApp widget onto your home screen and resize it to your need. The only downside of this trick is that you can only see text and emoticons but not the videos, pictures or voice notes.